Do you need a battery powered speaker system for your wedding ceremony? Can't bear the thought of a horrible black plastic speaker system ending up in your wedding photos! Then read on my friend as you need an At Large Audio battery powered speaker system at your wedding. There is nothing worse than going to a wedding ceremony where you can't hear the bride and grooms vows, and we have all been in the situation before right?. The solution is simple, and consists of a battery powered portable speaker / P.A. system for your wedding. 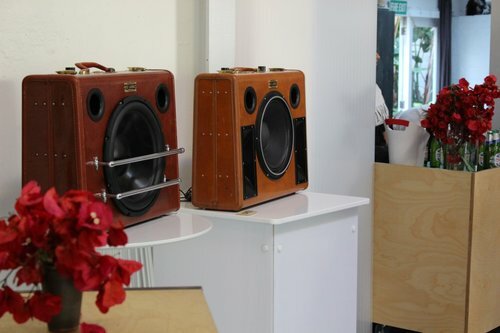 A sound system that can amplify a microphone and also play the chosen music out of it for the ceremony songs. 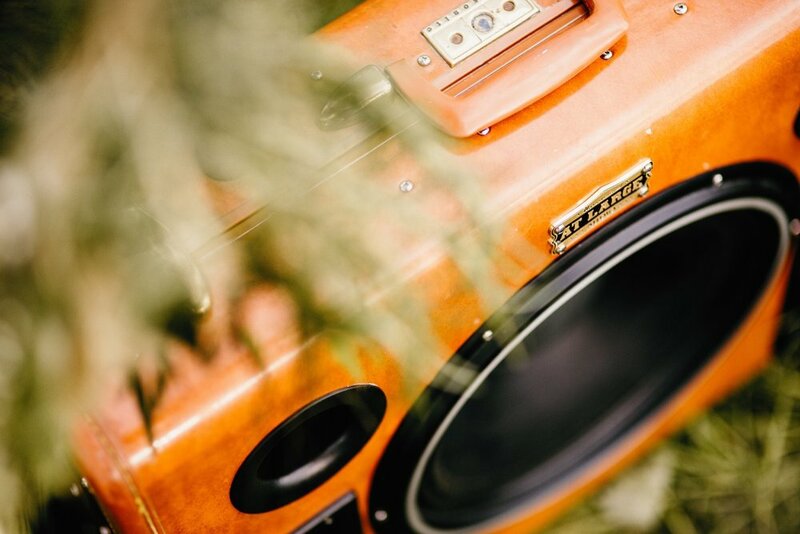 And importantly, a sound system that looks great and will fit the look of the wedding. Not something that you want to hide in the bushes where no one will be able to hear it anyway. At Large Audio are wedding sound amplification specialists and can make sure everyone at your wedding will hear each word you say, while having something beautiful at your wedding too. We understand that a wedding is a very busy time, and the bride and groom want to enjoy the day after the wedding, so we charge no extra for a 4 day hire. This means you can use the sound system for the day before, and day after festivities as well. Portable full range speaker system (12" + 2x horns) up to 150 guests. book your wedding system this month (MAR 19) and we will upgrade you to wireless microphones for free*. Mixing desk so you can plug in an acoustic guitar and vocalist into a speaker suitcase. C.P (Co Founder Of At Large Audio) and Fiona, his bride, singing ‘Home’ through a Speaker Suitcase sound system at their wedding in 2017. Sam, the other co founder, is on the drums. Call C.P. on 027 956 6320 or email at theteam@atlargeaudio.co.nz if you have any questions at all. Or fill out the form above to pencil in your wedding. T&C - Must book in Oct 2018. Wedding can be anytime. Free upgrade consists of 1 x wireless mic, and 1 x lapel mic. Sound system must be available.